As a kid I once caught what is now known as SaTAM, and I fell in love with that version of the character, sadly growing up the only cartoon I could ever catch consistently was AOSTH and I hated it while Underground I never really knew existed We’ve looked at the Super Mario cartoon Trilogy so it’s not time to take a look back at Sonic’s very own Cartoon Trilogy which consisted of Adventures of Sonic the Hedgehog, Sonic The Hedgehog and Sonic Underground. I still watched this show even if I disliked it just to get my Sonic fix but I always wondered why I even bothered as a kid. Many years later when Sega went third party and I was ecstatic since I had always been a Nintendo fanboy and always wanted to play Sonic. 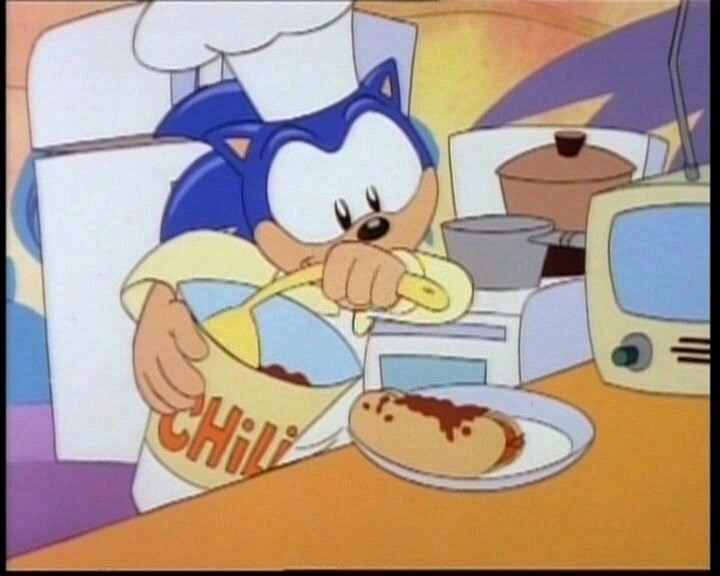 I needed more Sonic fix and I noticed that AOSTH was airing on Toon Disney; I did not care if it sucked it was still Sonic and it was needed in my dangerously furry crossroads past. 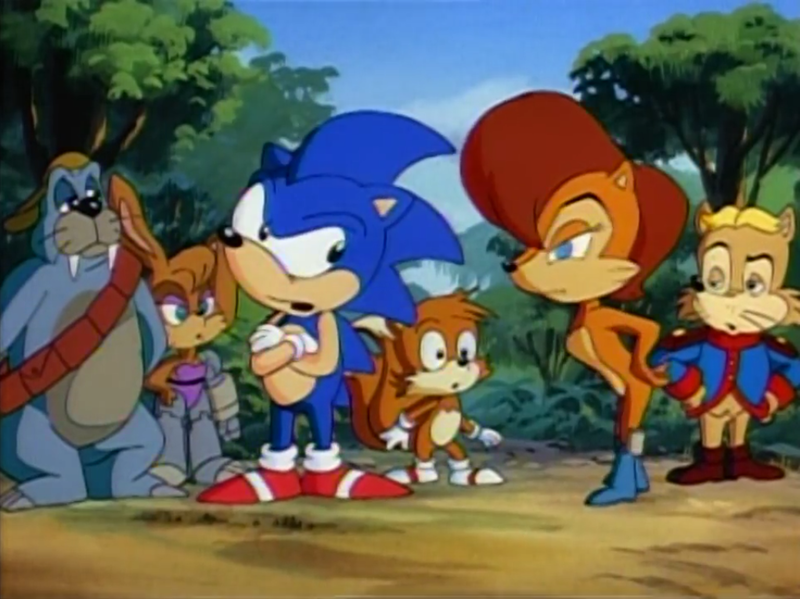 I would tape it every day and watch it after school and I noticed that I didn’t hate the show as much anymore, I watched most of the episodes during that time and I actually quite enjoyed it even more so than SATAM. Time has passed and I decided to look back at AOSTH again and see how well it holds up. The show is cheesy but fun, it is slapstick comedy not too dissimilar from Looney Tunes. They do make Dr. Robotnik into an absolute idiot and all of his plots are foolish. It also ins’s very clear if he is a real threat or not or if he’s conquered the planet Mobius or not since a few episodes leave it a bit ambiguious. 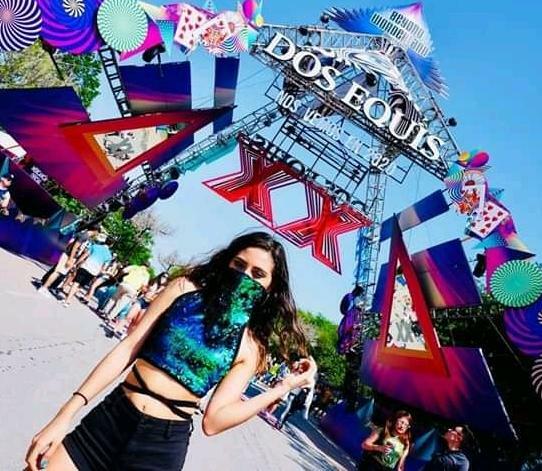 The show overall is actually of fun to watch if you know what you are expecting from it but beware as there are a lot of episodes and it can be hard to marathon through it but watching two or more episodes per day. It is also hard to believe Sonic had “attitude” over Mario, this is as tame as a character can get. This show gets hated on a lot but it does what it is trying to do well, it might not be a serious take on the character but it works. Another thing this show has going for it is that the game borrows a lot from the game, it has music cues, the overall look of some locations and references to the games like a Sonic Spinball inspired episode, we have a version of Metal Sonic, some of the robots he faces. The show which is normally really episodic actually counts with a Chaos Emerald mini-series and it has plenty of recurring characters. Scratch and Grounder are silly but they aren’t bad and you grow fond of them as I ended up liking them a lot. 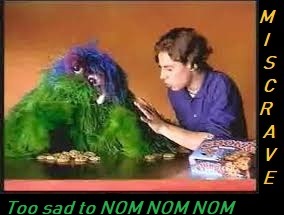 Coconuts is pretty awesome as well with his depressive yet maniac mind that he has. Tails was my favorite character as a kid but here he is indeed pretty useless and annoying, though he does get some development and you see that he likes inventing things which would prove to be true later in the games. So yeah oddly enough this take on Sonic and their characters is not that far from the source material, you have to realize that this was made when the Sonic games had virtually no story and even then it manages to stay true to them as much as it can. The show gets far too much hate and if you like slapstick comedy and Sonic you cant do wrong checking it out, it is far from being amazing but its a decent show. Sonic the Hedgehog is the cartoon that is remembered fondly by most; It used to air very early on Saturday mornings and I almost never got to catch it, much to my demise, I used to instead always catch AOSTH airing at most other times while I wanted to watch the grittier version. I absolutely loved the theme song and I do think that it had a lot to do with me thinking Sonic was awesome and wanting a Genesis. I never felt I really got to watch it enough. I eventually got the DVD and I was a bit disappointed by it thinking it’d be so much better when it really wasn’t but here’s to another chance. Compared to AOSTH, the cartoon that aired at the same time as this did it definitely has a much darker mood, however this is still a SATAM show like it is nicknamed by fans and I’d hardly call it a dark show..just darker compared to the other cartoons. The first season is especially like this, it’s a standard cartoon where you have a group of freedom fighters fighting against this tyrant so they can overthrow him. 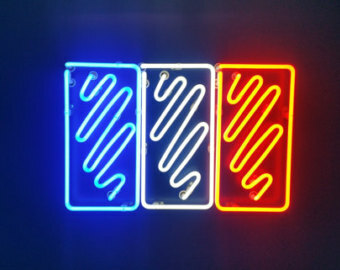 The show has a colorful cast of characters, which makes them all unique even if they don’t really get all that much development. 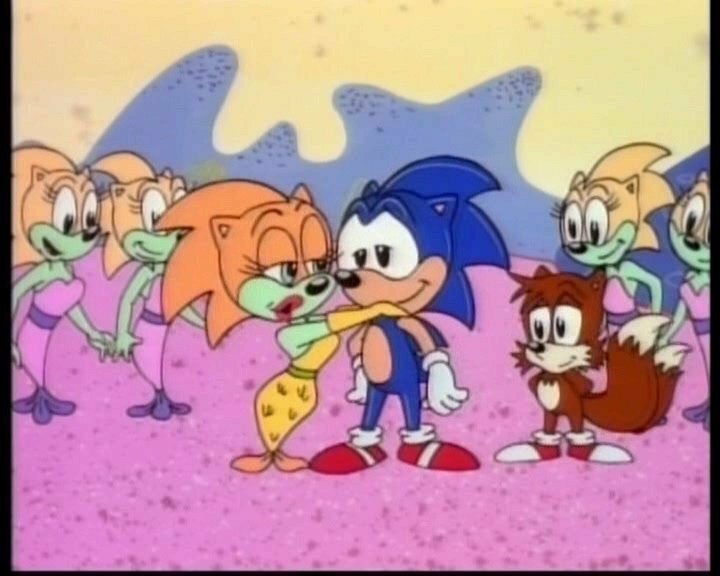 The plots in season 1 are very standard SATAM plots and a bit boring for the most part since there is no slapstick like AOSTH to break up the genricness, this makes some episodes drag. The second season has a slight change, not only in character designs but the plots become a bit darker and more entertaining. The second season also brings somewhat of an ongoing plot, it isn’t much just references of something to come but at least it’s something and this was not very common back in those times. 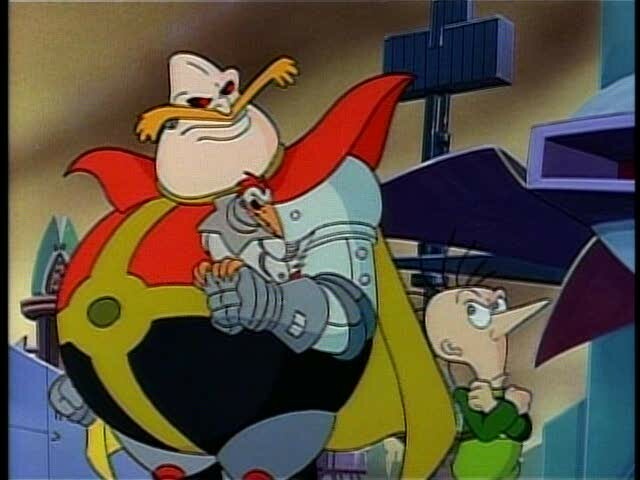 The show has a finale, it leaves a cliffhanger and the defeat of Eggman..rrr Dr. Robotnik. It is a bit anti-climatic but this was because it was supposed to continue. This show was Sonic to a lot of people and it’s interesting to see how different the actual Sonic universe became, remember this show came out when there was hardly any story to Sonic or even characters as mentioned above. The show created quite a few interesting characters and that’s why it has the legacy it has. Overall the show is worth a watch if you like or ever liked Sonic back in the day and see how different and interesting this take is but it is hardly the classic some fans may make it out to be. 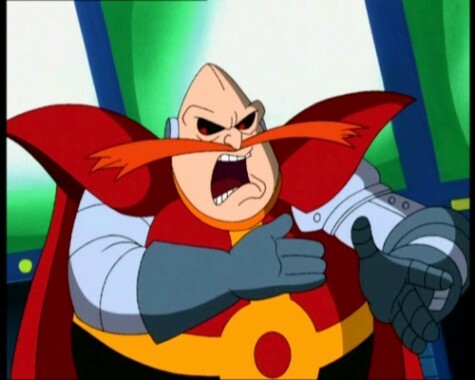 Robotnik does indeed feel evil in this show, sadly he doesn’t have much of a personality which makes him one dimensional in contrast to AOSTH Robotnik. 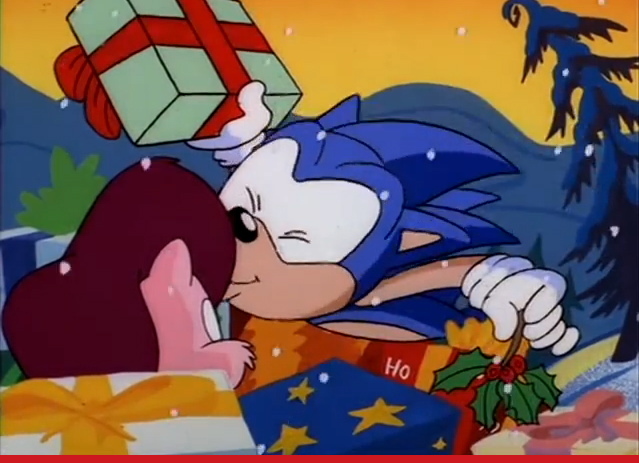 This is the Sonic show that is almost never get’s talked about and it’s mostly forgotten. And when it’s not, it is seena s this horrible show, but is it really? It seemed cool at the time but I never had the chance to watch it, I’m guessing it was sort of a transitional period for Sonic fans since they were getting older and the younger generation never got to watch it so it never got a fair chance from either fans of Sonic. This show came out in 1999 when the Dreamcast was coming out and it almost seems that it isn’t from that era at all. The actual show seems to take most of it’s characteristics from two previous DIC shows since Sonic and the universe share many of the story elements only present in those cartoons. Of course they decided to go a slightly different route with this one not really being a continuation of either but a brand new story. In this universe Sonic is the son of the Queen of Mobius and he has two siblings. This universe involves a lot more magic and fate into the universe than either of the two previous DIC shows. His brother Manic and sister Maria actually have some pretty cool character designs that can now see life in Sonic Forces, their actual story isn’t that great though. 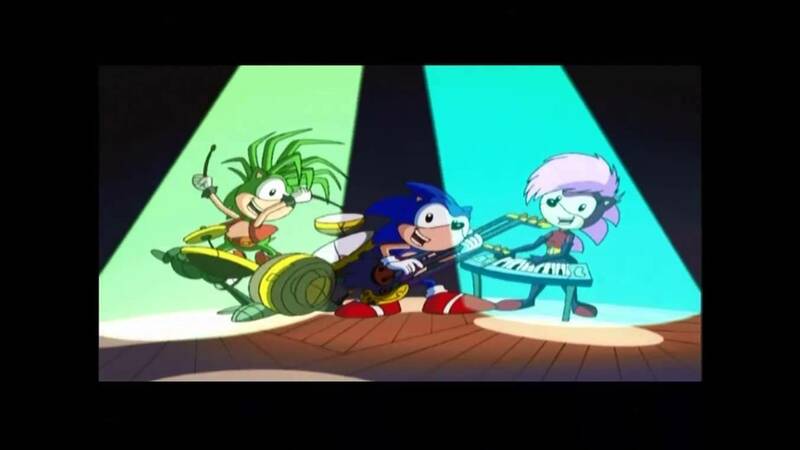 They are freedom fighters called the Sonic Underground and they fight with Music..yes that’s right and I never quite understood what powers it gave them. Basically they were able to use musical instruments to fight and make songs which seemed irrelevant to the actual episode. Not to mention said songs featured different voice actors and were for the most part terrible. I have no idea who thought those things would be considered hip with the kids, this was the late 90s after all. 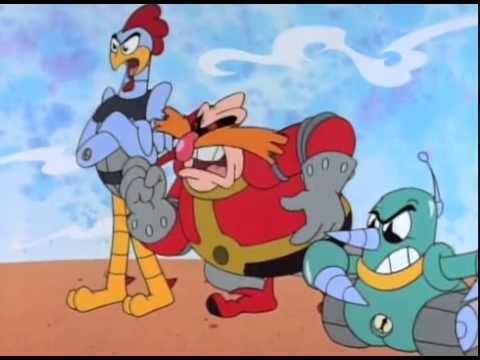 Dr. Robotnik in this universe is not as evil as the SATAM version but he isn’t the fool he is in AOSTH, he seems just a generic bad guy and that’s too bad since that makes him easily the worst animated interpretation of Eggman. 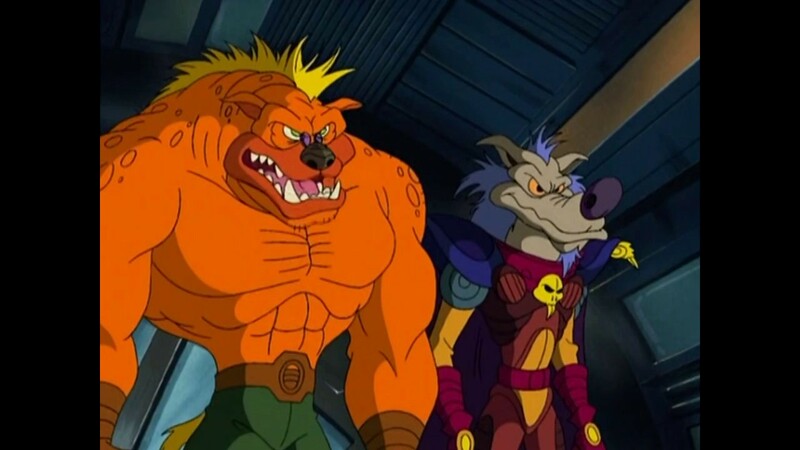 He has two henchmen Sleet and Dingo who work for him and while they aren’t Scratch and Grounder level of stupid, they never get the job done. 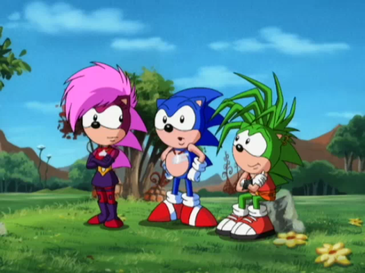 The plots mostly involve the Sonic Underground trying to find their mother and stopping random Dr. Robotnik plots. 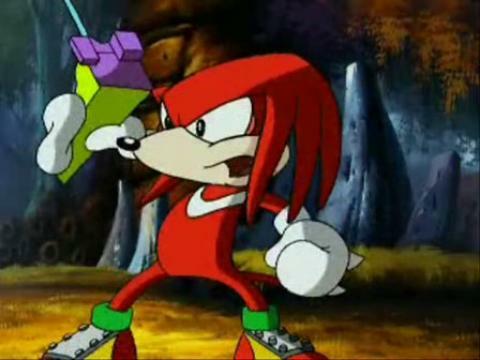 This also includes a few appearances by Knuckles who isn’t treated too terribly with all things considered. We also have a short chaos emerald saga here which helps you get a bit more interested. Overall the music gimmick is terrible and this feels like a show that should’ve came out around the time of the other Sonic cartoons. 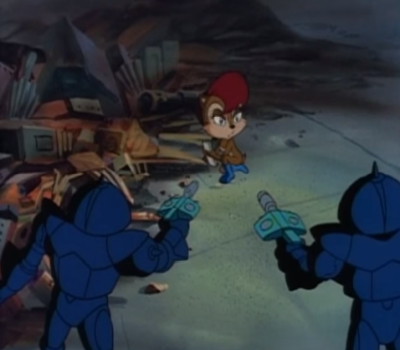 However much of the hate it gets is unwarranted, many episode plots aren’t that much different from a standard SATAM episode, so it feels a bit unfair to call out this show and praising SATAM. While it may be the better of the two shows, they aren’t as different as some would make it out to be. Nevertheless if you feel like reliving some classic 90’s sonic this definitely feels like it before the make over he got later on. Sonia is an aristocrat and Manic is a former thief however their personalities aren’t really dealt with that much during the show, they could¿ve easily have created more fun conflicts between them. Sadly the show ends without a finale or anything up wrapped up, but at least the final episode does have a nice line “game over” which counting Sonic is based on a game, it fits even if nothing is ever resolved. Yes, this was the end of classic Sonic. Originally meant to be called Sonics Xtreme Christmas to promote the Saturn game that never came out was a X-Mas special. 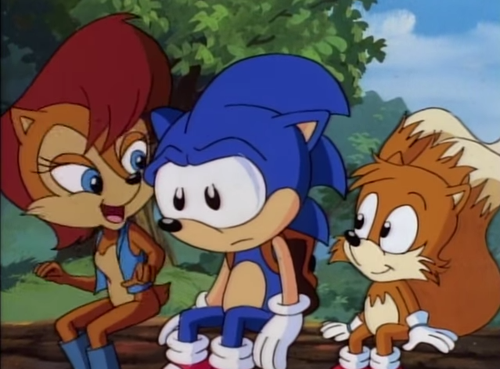 There really is no other reason since this was made after SatAM and AOST had already finished their runs. It has different animation and character designs but it looks better even if more cartoony. 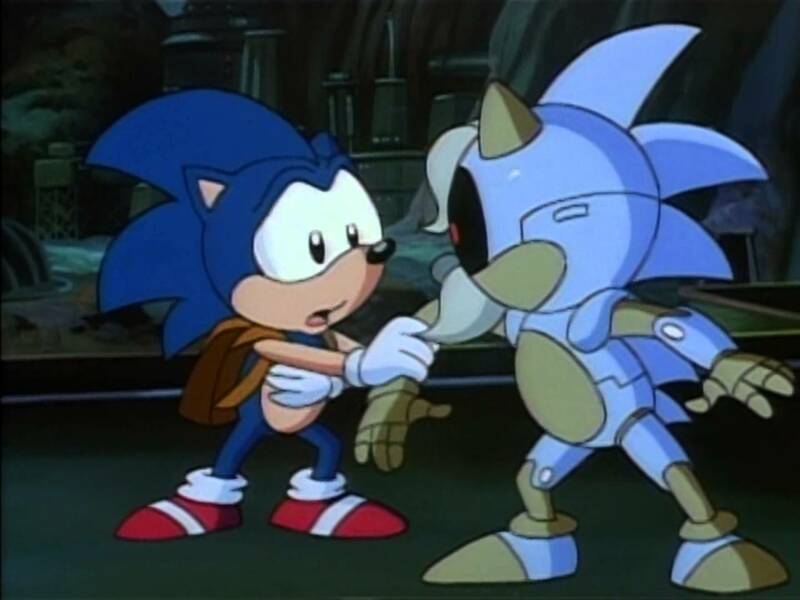 The actual plot is something typical of AOSTH but we do see some influences from SATAM like Princess Sally even if she is pink and Swatbots that look like generic AOSTH robots instead of the ones from SATAM, and yes you even see Robotropolis, but besides that it is definitely more along the lines of AOSTG and not SATAM. The episode is not a great one nor is it a decent Christmas episode with just a generic kidnap and I become Santa Claus plot. However it was indeed nice to see the characters again years after their shows got cancelled. Not to mention it brings speculation at least to a person like me to bridge the gap between both shows into one continuity.